The Turtle Hospital is a 501(c)(3) nonprofit organization dedicated to rescuing sick and injured sea turtles throughout the Florida Keys. 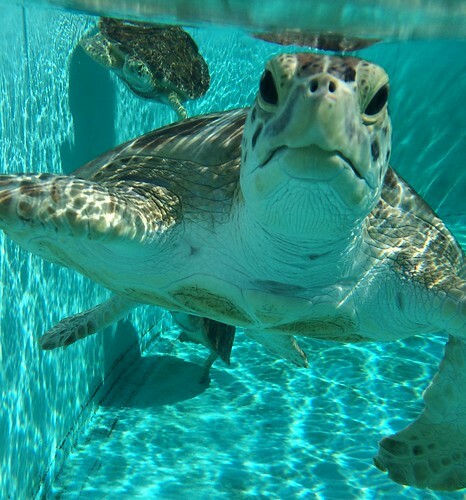 To date, The Turtle Hospital has successfully released over 1800 sea turtles since its inception in 1986. Sea turtles serve a vital role in the ecosystem, but their populations worldwide are dwindling. It is our mission to rescue, rehabilitate, and release as many as possible. But we cannot do it without your help. All proceeds from your purchase go directly to the care and treatment of the turtles. Thank you for your support! Be sure to visit our website www.turtlehospital.org!